This paper characterizes new web threats and explains why most security solutions in place today are ineffective. 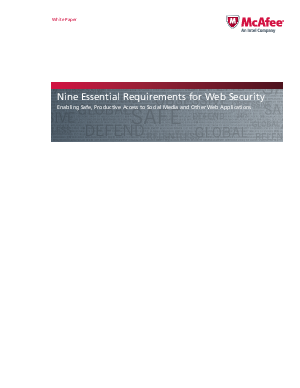 We then propose three key organizational principles for assessing and enhancing web security—security, control, and flexibility—and nine functional requirements that enable these principles. These new capabilities (and the RFP checklist in the appendix) will help you confidently allow safe, productive access to the web and the increasing number of cloud applications.